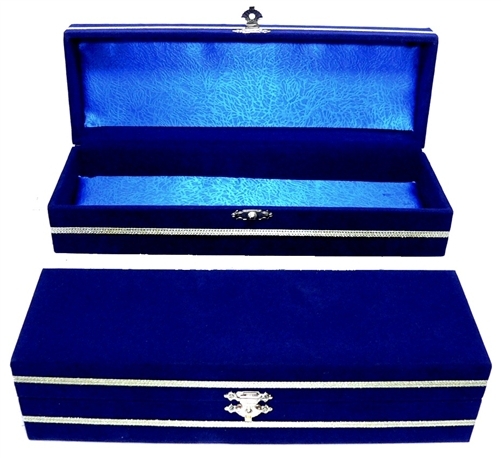 Blue Velvet Chest - Fully Lined with Solid Brass Fitting - Hand made in Turkey. 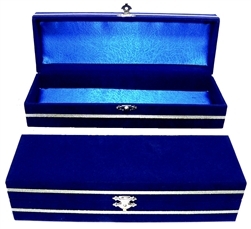 This box is ideal for travel or home or office. 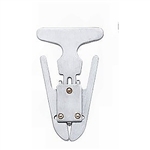 Padded bottom keeps your special pipes or other keepsakes well protected. Decorative gold trim gives a finished classy look. The Large Chest fits any of our Churchwarden Meerschaum pipes.